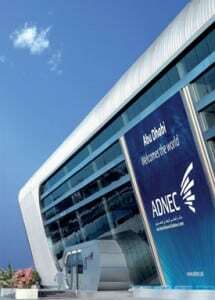 Pioneering event to be held in Abu Dhabi from 3-5 February. The pioneering event, held under the Patronage of H.H. Sheikh Mansour Bin Zayed Al Nayhan, Deputy Prime Minister and Minister of Presidential Affairs of the UAE, will have a strong focus on high-tech, sustainable agricultural technologies that can profitably benefit the GCC nations. It will bring together an unprecedented array of world-renowned innovators, investors, food producers, retailers, governments, scientists, NGOs and agricultural organisations. “GFIA is of particular relevance to the GCC region, as it seeks to highlight the sustainable agriculture initiatives and innovations being planned and deployed across the world, particularly in regions characterized by water shortages and infertile land. The support of GCC governments will be crucial in transferring this knowledge to the regional agricultural sector,” said Mark Beaumont, GFIA Project Director. Food insecurity is a challenge felt particularly acutely in the GCC, due to the region’s hot climate, limited water resources and generally poor land quality, where burgeoning populations in arid regions are placing a strain on the capacity of nations to feed their citizens. GCC governments are aware of the food security threat to the region, and are placing great importance on countering the threat. Bahrain’s Labour Fund (Tamkeen) is investing in farms to increase productivity, with the kingdom also investing in ground water storage tanks to ensure there is enough supply for the agricultural sector. The Qatar National Food Security Programme is actively looking to increase local agricultural productivity to help with the nation’s almost total reliance on imported food and a rapidly growing population. The Qatar-based Sahara Forest Project has shown that it is possible to develop a self-sufficient food production system in the desert, while also producing energy as a by-product. Kuwait has seen the successful introduction of hydroponics technologies in the agricultural sector, testament to the nation’s embrace of new, innovative technologies. The country is also investing heavily in water-saving technologies and productive agricultural land abroad. Oman’s government is introducing water saving programmes to complement the Sultanate’s already highly effective traditional falaj irrigation system, whereby water from aquifers is distributed around fields via a complex system of channels and watercourses. Oman is also looking to expand the growing aquaculture sector. “Our goal is to unite the Middle East behind sustainable solutions for food security and to harness new technologies for our desert landscape. GFIA is key to facilitating knowledge transfer and to demonstrating the investment opportunities available to regional and international stakeholders,” added Al Rayssi. The multi-faceted event will feature an exhibition and conference, comprising keynote sessions, panel discussions, an African Ministerial debate and 150 presentations; an Incubator Zone, which will provide a low-cost space for UAE and international entrepreneurs to showcase their ideas and prototypes; an Innovation Zone curated by the University of Arizona, where working models of some of the most inspiring innovations in agriculture today will be featured; technical tours to a range of sustainable agriculture projects in the UAE; a Gulf Cooperation Council (GCC) Farmer Focus, where a dedicated program will educate GCC farmers on the benefits of sustainable agriculture; and an NGO Zone, where NGOs, development agencies and charitable foundations can meet and share ideas. • Exhibition and conference: keynote sessions, panel discussions, an African Ministerial debate and 150 presentations. • Incubator zone (sponsored by the Khalifa Fund): a low-cost space for UAE and international entrepreneurs to showcase their ideas and prototypes. • Innovation Zone (curated by the University of Arizona): display of working models of some of the most inspiring innovations in agriculture today. GFIA will be held in strategic partnership with the Abu Dhabi Food Control Authority , with the University of Arizona as Knowledge Partner. Sponsors include the Khalifa Fund and Islamic Development Bank.